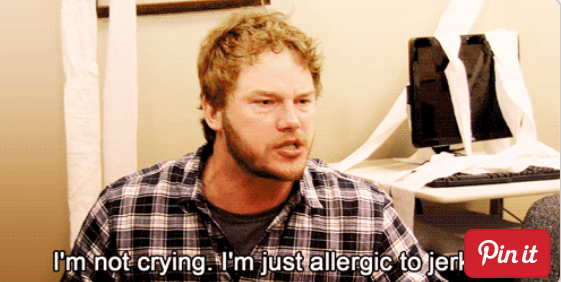 The fantastic show, Parks and Rec, is coming to an end this season. This series taught us that being a little neurotic with your work is okay, or being really dumb doesn’t mean you won’t find a job or a purpose in life, or hating everything in the world won’t keep you from finding love, or being married to an extremely hot woman still won’t make you the most popular man in the office. Here’s to Leslie Knope and her crew! And here’s to the tissue-overload! Ron Swanson, you good sir have said it correctly. There literally must be some mistake. I mean, only 7 seasons, and they are calling it quits? There is no way. It must have been an error in the paperwork. 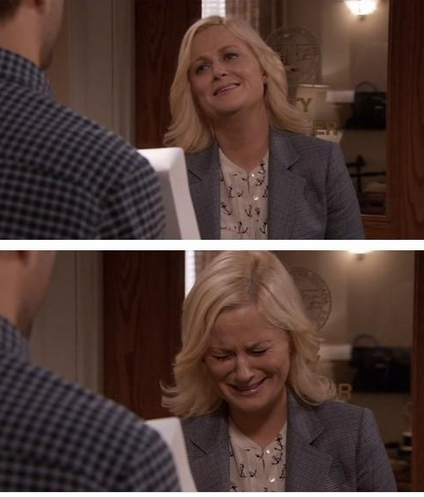 Amy Poehler, did you by chance switch your divorce papers with the scripts? This is the beginning of the end. But not really, right? I mean, Netflix has already stepped up its game and put Season 1- 6 online. So it can never end…correct? Honestly, this may be the stage I stay in for a while. Donna couldn’t have said it any better: What. The. Bleep. If someone was standing right next to me, they would have a huge black eye right now. I am just having flashbacks to all the times “Really Jerry? 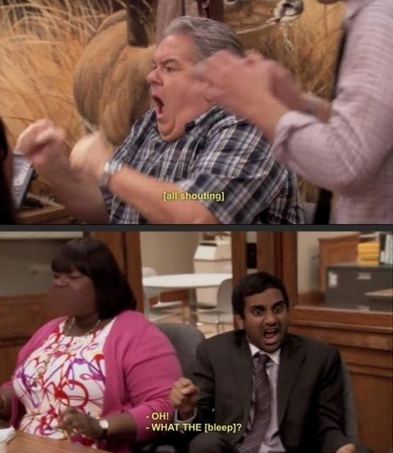 !” was yelled, or when Leslie didn’t get her way right away, or when Ron spouted on about the government. All of these acts of anger/aggression are exactly how I feel right now. When the last episode shows, someone will die. Okay, so maybe they say it is the end of the road…for now. 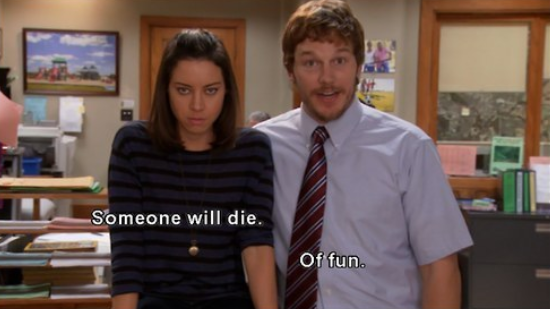 We all must stand up to petition for a Parks and Recreation Reunion season already! Do not give up on hope. Is it too much to ask for this show to live on forever? 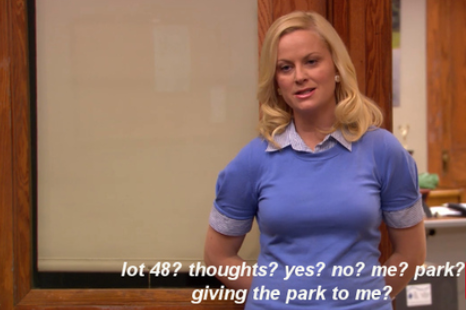 We bargain our time watching other shows to beg for more Parks and Rec. There wasn’t just one scene snapshot that could properly depict all the emotions we will feel. It is as rough as this, times one-hundred. Ann, you beautiful, naïve, sophisticated newborn baby. 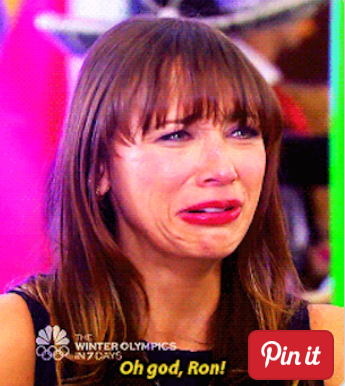 Crying and depression and emotional pains are all the feels I will have during this last season. We now reach the fifth and final stage of depression. Even though we are to accept the end of the series, it is just not possible. Just smile through the pain, attempt to laugh it off, and never accept the ending of Parks and Recreation. NBC, you’re on my list.